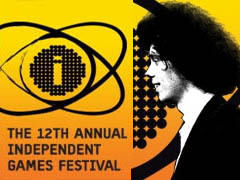 I volunteered to be one of the many judges for the IGF this year. Here are some of the random observations that I jotted down while working my way through the batch of games I was assigned to evaluate. Hopefully these observations will be useful to people entering the competition next year. Observation #1: you can’t win a competition if the judges can’t play your game. I’m not surprised half the games wouldn’t run; the compatibility-related frustrations of PC gaming were precisely why, after many years of shunning consoles, I eventually threw up my hands and made the Xbox 360 my personal gaming platform of choice. And this isn’t a knock against the organizers of the IGF; they screen every game to make sure it runs before they submit it to judges for evaluation. The IGF can’t be expected to try every submission on fifteen different PC configurations… that’s the individual game developer’s job. But this isn’t even a knock against developers, because I appreciate how challenging traditional PC game development can be. And that’s really the point of all this (I know, it took me long enough to get there.) If you’re an independent game developer working on a downloadable PC game, you really need to ask yourself if the benefits you get from your engine actually outweigh the portability benefits of Flash, and to a lesser extent, solutions like Unity. I doubt that consumers are, in general, much more forgiving than IGF judges. Requiring a download probably drives away half your potential customers right off the bat — the actual percentage varies depending on the game and the audience, of course. You’d better be certain that the game concept and technology you’ve settled on is so compelling that it justifies not only losing customers to a download, but also losing another large percentage to compatibility problems! On a final note, this seems like a good time to once again reference Danc’s flash love letter: a worthwhile read for all PC game developers. Update: After much additional effort, I was eventually able to play 70% of the games in my batch. I had to give up on the other 30%. You seem to assume every game designer has also the skills to program in a language like Actionscript. That’s not true. I’ve met otherwise brilliant game designers who would simply go blank at having to code. Not to mention Flash is a commercial program. You’re judging the -Independent- Games Festival. Being independent means sometimes having to skip a lot of solutions you don’t have the money, time or personal skill to handle, merely to get something out there. Zaratustra — I’m not “assuming” anything. I’m making a suggestion that will, I hope, help some independent game developers who are willing to make the investment in learning and using technologies like Flash but who may not realize the value of doing so. This won’t make sense for every game, as I noted, and it certainly won’t make sense for every game developer, but I still think the suggestion has value. I attempted to play through every single submission to the Unity Awards this year and a huge hassle were the few entries which only provided PC builds (I run OS X, personally). I’m seriously considering requiring all desktop entries to submit an Unity Webplayer version next year just to deal with this specific issue. A shining example of how this can work well is Max and the Magic Marker, which actually walked away with our Best Overall award. Their target platform is the Wii but they build a special Unity Webplayer version of their game to make our life easier when testing. We really appreciated it and it allowed us to award a winner who might otherwise have gone unjudged since I don’t happen to have a Wii devkit at my desk!